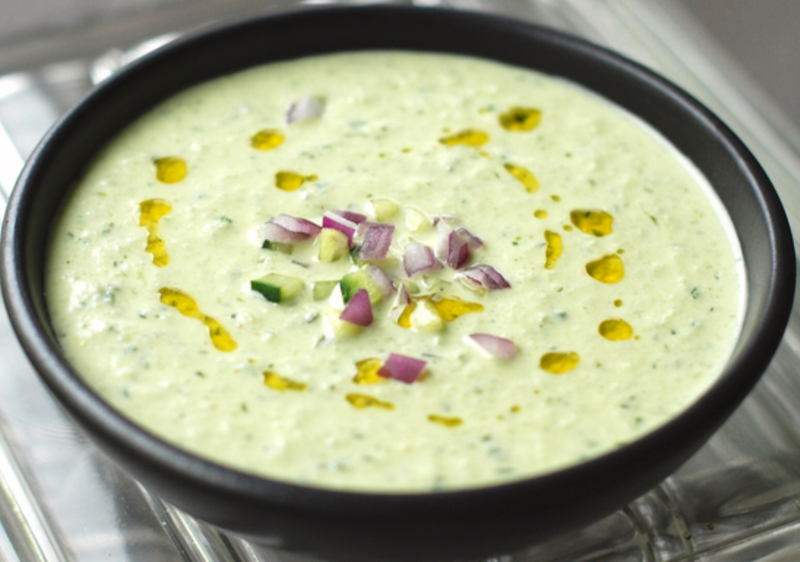 While summer isn’t quite “soup season”, a chilled, belleicious summer soup is right up our alley! A dear belle-friend shared one of her creations over the weekend…a chilled cucumber soup with lots of dill and a cayenne kick (thanks, Marion!!). It got us thinking about this summer delight. 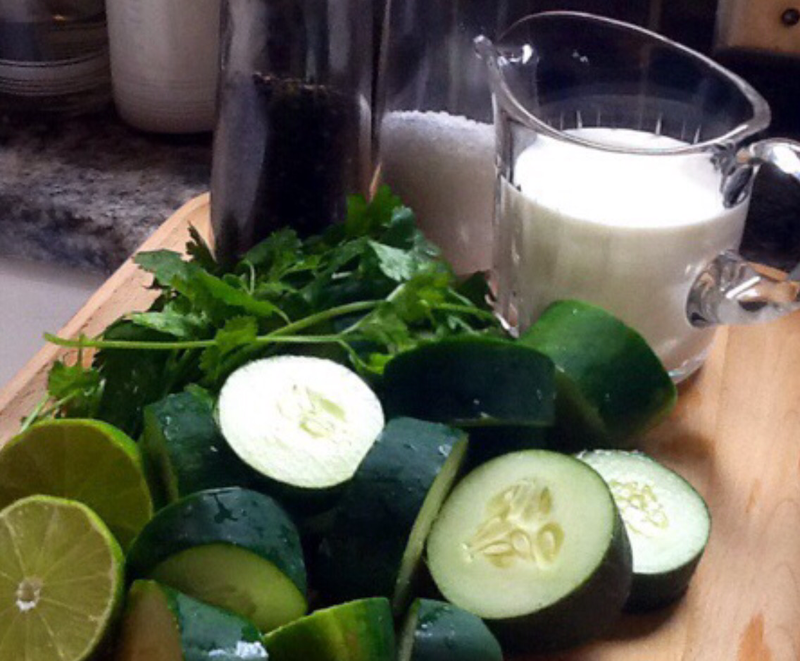 This particular version is super simple…just a cup of buttermilk, a handful of herbs (cilantro, mint, basil…take your pick), two cucumbers, the juice of one lime, and salt & pepper. 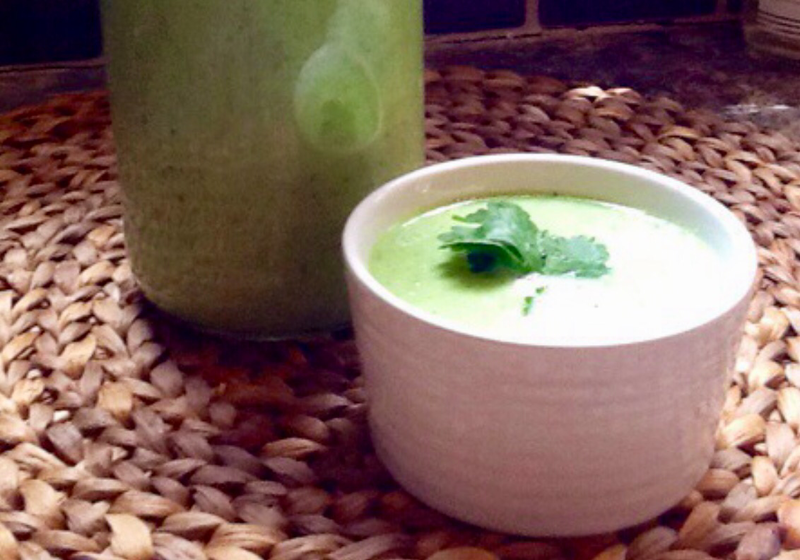 Toss it all in a VitaMix or blender and puree away. Garnish with herbs and maybe some extra minced cucumber, and you are all set! Zimmern’s version adds onion (yum! ), dill, tarragon, and lots of other belleiciousness. This is a must-try, belles!